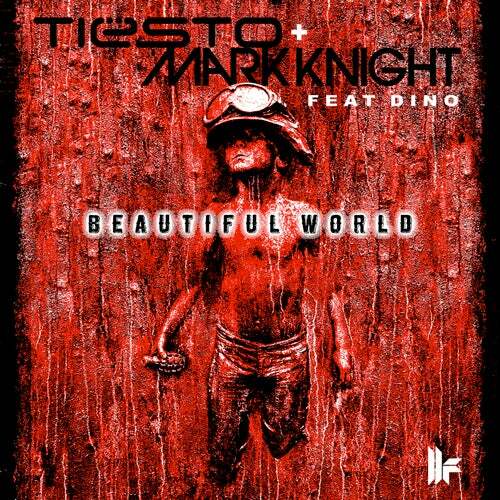 Tiesto & Mark Knight feat Dino Beautiful World combines the outstanding talents of 2 of dance musics most influential artists with the vocals of Dino Lenny, creating a fervent and euphoric masterpiece, fully loaded and ready to be fired out on the unsuspecting dance floors. Widely regarded as the worlds biggest DJ/Producer, Tiësto has wowed millions of clubbers with his epic live shows whilst working alongside global superstars such as Nelly Furtado and Goldfrapp. Mark Knights legacy already ranks him as a leading player in dance music culture with 2010 producing a Grammy nomination for his work on the multi-platinum Black Eyed Peas album The End and collaborations with legendary acts Faithless and Underworld. Flash-forward to 2011 and these two masters of electronic music have created a colossal crossover classic. Produced in typically supreme style and with the dance floor in mind, Beautiful World is a cleverly crafted piece of music that will resonate with listeners as chugging stabs and rocking beats lay the perfect foundation for a memorable melody and Dino Lennys stunningly uplifting vocals. When combined with a truly inspirational music video that follows the compelling story of a proficient, all male cheerleading dance group, known as the DAZL Diamond Peewee Boys recently starring in the BBC Wonderland series, you are left in no doubt that this is a powerful, life affirming anthem that If you close your eyes provides the perfect escape into a Beautiful World.